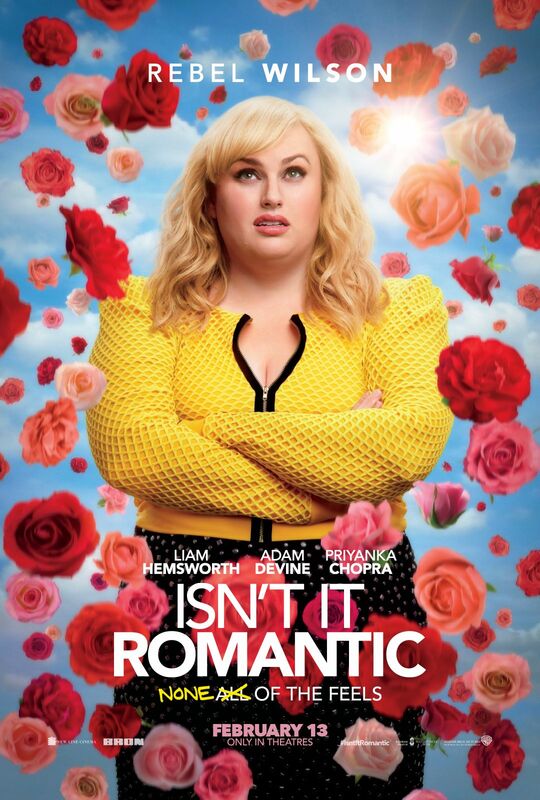 When love gives you none of the feels... You could win passes to an advance screening of ISN'T IT ROMANTIC in Vancouver, Montreal (English and French), Ottawa, Winnipeg, Calgary, Edmonton or Halifax on February 11th! ISN'T IT ROMANTIC is in theatres February 13th, 2019. Via Facebook: LIKE & FOLLOW our Facebook page and leave a COMMENT on the Facebook contest post to correctly tell us who plays Natalie in the film. Also, don't forget to mention which city (and language, if applicable) you are entering for. Click here to enter. Via Email: EMAIL thereelroundup@gmail.com using the subject line 'Enter Me to Win Passes to see ISN'T IT ROMANTIC', and provide your full name and email address in the body of the email, as well as the city (and language, if applicable) you are entering for.